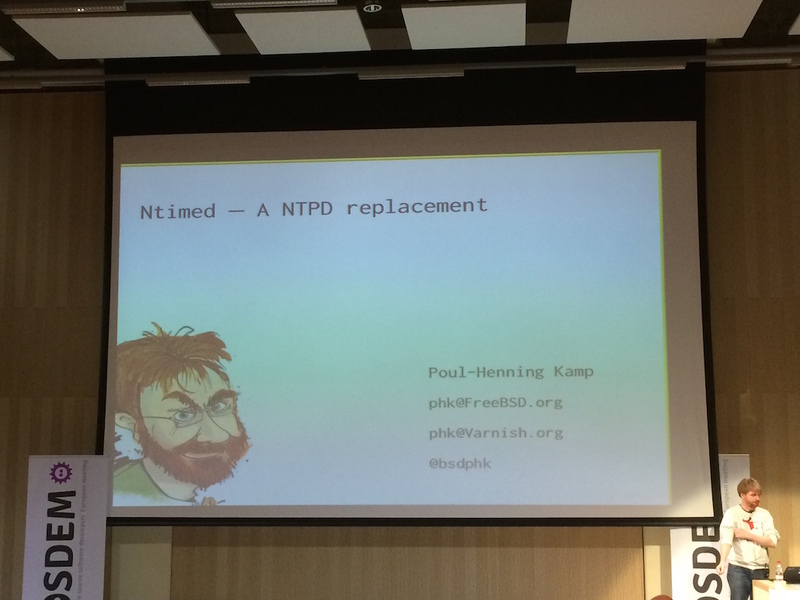 Poul-Henning Kamp presented this talk at FOSDEM, titled "Ntimed an NTPD replacement". There was no intro for the talk. None whatsoever. Just the title. And as expected, a completely full room. The man is famous. Ntimed-master: not for normal pedestrians. 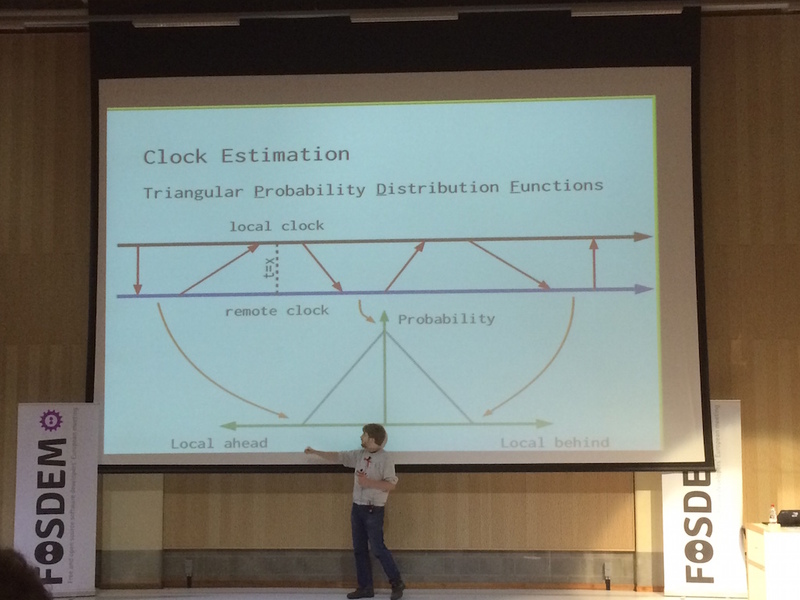 Talks NTP/PTP protocols. Used by those who run "root" servers for NTP time syncs. As usual with PHK, one of the main focusses is security. 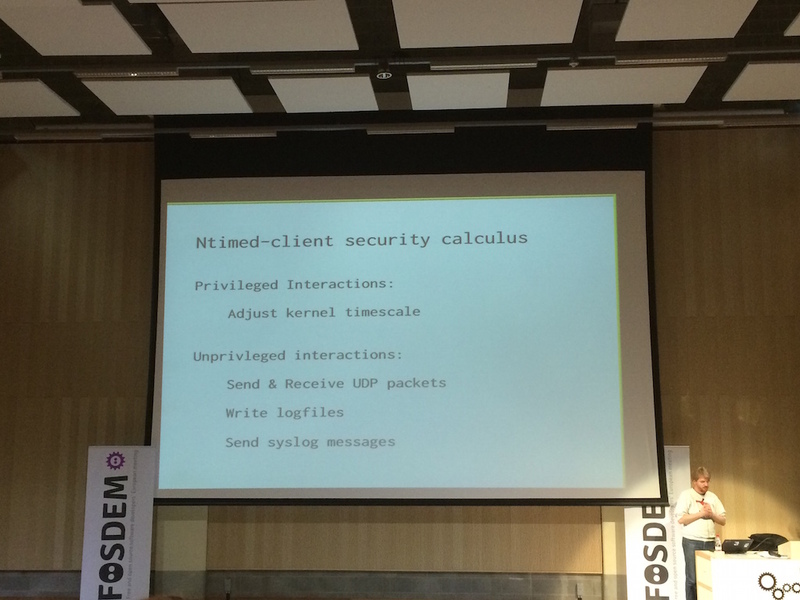 There is no sandboxing in ntimed-client, as the attack surface is very low (ntp protocol = fixed set of UDP network packages, no buffer overflows, low DoS surface). Clock keeping isn't easy, as most computer hardware has very cheap components next to heat generators, that can influence the time. Kernel interface is really simple: it can get() the time, step() the time to set the correct time, steer() the time (so adjust the rate of time) and to sleep(). Leap-smeers (stretching a leap second over a day, to limit the impact, like Google does), would be implemented/done in the ntimed-slave service, never in the client. 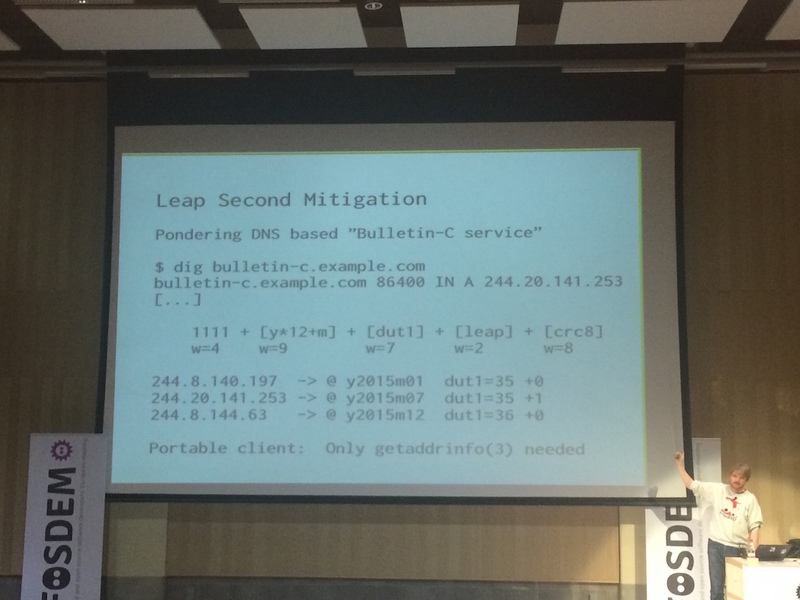 PHK suggested a DNS-based solution for spreading the bulletins that announce leap seconds. The offset can be packed/hidden in an DNS A record, so the time offset is hidden in the IP address. Confusing? Yes. Creative? yes. "Green Computing": the ideal of ntimed is to be as green as possible, especially if it's going to run on millions of servers. 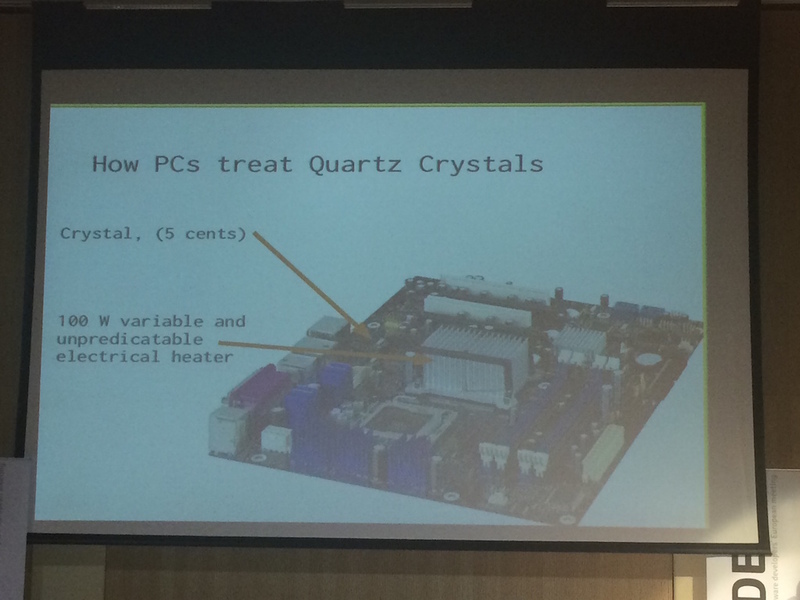 Every CPU cycle and Watt power saved has enormous impact. With an Ntimed-client that is aiming to run on as many servers as possible, the impact can not be ignored. Why not fix NTPD? PHK tried. But there are 360.000+ lines of code in NTPD. 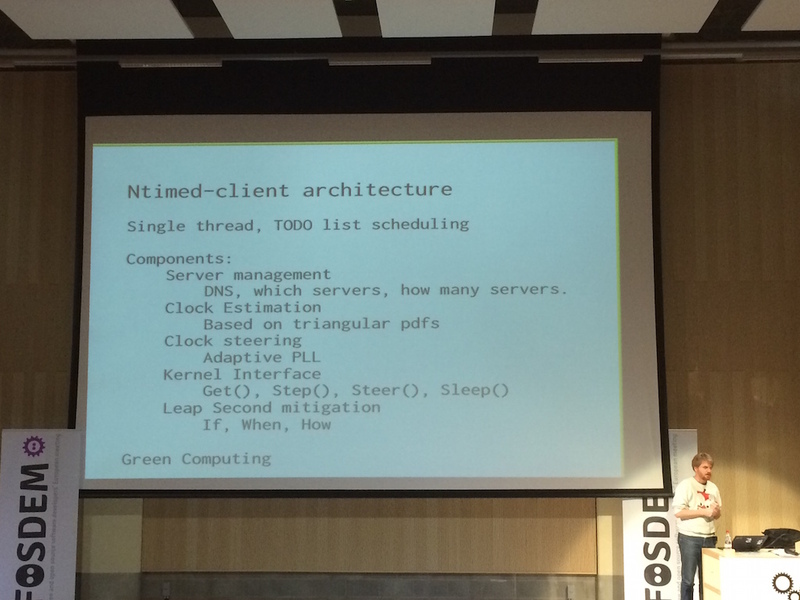 "NTPD is doomed": refactoring would not be time or resource efficient, hence the start of Ntimed. From the ground up, a good security architecture. Is NTPD safe? Right now: yes, most likely. Long term: no. Despite my rants on this topic, Ntimed looks promising. It's not done yet, but it's something to keep an eye on, before the ticking time bomb of NTPD bites us all.